Adam	, main support for XL2 Academy	 XL2 Academy Contenders NA Rank #8 Kirby Kim Dong-wook (김동욱) off tank Haku Robert Blohm flex support Yaki Kim Jun-gi (김준기) dps Rina Justin Jeon dps Speedily Nicholas Zou dps Akawa Adrian Kawa tank Jer Jeremy Santacruz support , has retired from professional play to move to a staff position for XL2. He has played the support role for teams since Overwatch's beta period. Adam began his career as support of google me in the closed beta, eventually joining the Cloud9 organization alongside his teammates in March of 2016. He remained on Cloud9 until October of 2017, playing on a number of various rosters with teammate Surefour. He left Cloud9 after the organization ceased its North American operations following their entry into the Overwatch League as the London Spitfire. Adam returned to competition in 2018 when he joined XL2 Academy. He was the team's starting main support for both Contenders Season 1 and Season 2. Adam was in the server for every map the team played during that time. His career also included two World Cup appearances for Team USA. He played support for the American national team in both 2016 and 2017. The exact position Adam will have on the XL2 staff has yet to be announced. 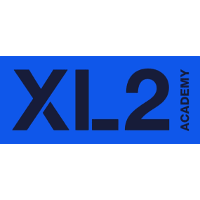 XL2 Academy recently saw both of its coaches, Kitta and ioStux, depart the team. The team currently lacks any coaches or managers. While XL2 have yet to announce their official roster for Contenders Season 3, their roster is already available on the Contenders website. While Adam is still listed on the team's roster, main support Jer	is also included on the roster. Logix	is another new addition on the XL2 team page. XL2 Academy play in Contenders Season 3 later this month.